Target Market: Office Clinics, Etc. 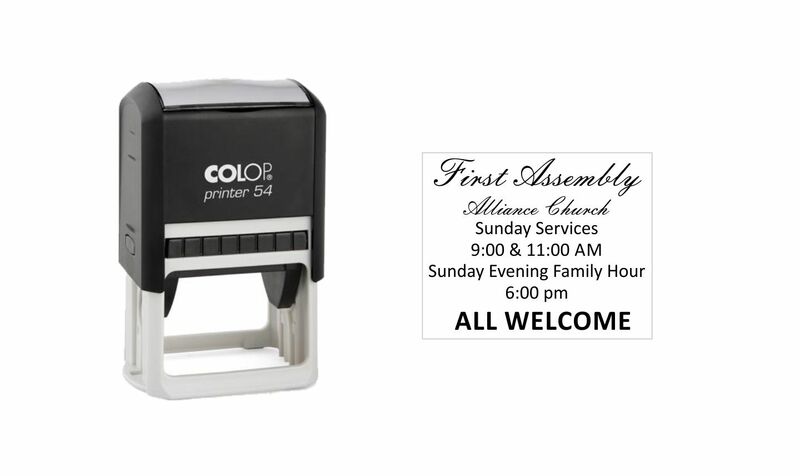 Rubber Size (inch): 19/16" X 15/16"
The Colop Printer 54 self-inking stamp is recommended for up to ten lines of text. When only the highest visibility will do, order the big one. This model allows you to create complete forms with text and blank spaces to be filled. Ideal for complex text, disclaimers, large font warnings, etc.